Chapter six is one of the most intriguing portions of Revelation, with the appearance of the mysterious "four horsemen of the Apocalypse." Some have seen them as symbolic of the parade of human or church history, others as a portent of fearsome events to come, and some believe they are demonic wraiths that haunt the scenes of war and violence. By allowing the Bible to interpret its own symbols we can get a clearer picture of what is being communicated. But just a word of caution is in order: the opening of the seven seals in chapter six is a continuation of the heaenly courtroom scene in chapters four and five. 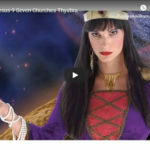 Those chapters clarify the context and issues involved, and if you have not yet read them you may find this presentation of the opening of the seven seals to be confusing and implausible. To review briefly, chapters four and five departs from the "on earth" timeline in order to set the stage for the beginning of the judgment of humanity. In chapter four there is a portrayal of the heavenly courtroom, the same scene that Daniel saw in Daniel 7:9,10, in which “the court was seated and the books were opened.” In chapter five there is what could be considered a “flashback” to the heavenly drama that took place when Jesus returned to heaven after His resurrection and presented Himself to the heavenly hosts as the “Lamb as though it had been slain” (Revelation 5:6). His sacrifice established His right to open the sealed Book of Life. The Book of Life has inside the names, circumstances, decisions,and deeds of the people who at one time or another have responded to the Holy Spirit. When the seals are broken and the Book of Life is opened, these people are "investigated" by the angels. This is what is portrayed in chapter six, where the people in the Book of Life are judged and separated into categories. In human history, the actual opening of the books takes place during the Day of Atonement, which began in 1844 according to the prophecy of Daniel 8:14, “for two thousand three hundred days, then the sanctuary shall be cleansed” (see 5:7,8 Then He Came - When?). “And I saw when the Lamb opened one of the seals; and I heard one of the four living creatures saying as a voice like thunder, ‘come and see.’ And I looked, and behold, a white horse. And he that sat on him had a bow; and a crown was given to him, and he went forth conquering and to conquer” (Revelation 6:1,2). Each of the “horsemen” is actually composed of several elements. Each is announced by one of the four living creatures that were introduced in Chapters 4 with the words,“come and see.” Each has a horse of a different color: white, red, black and pale. Each horse has a rider, and each rider has something with him: the first, a bow and a crown, the second a great sword, the third a pair of scales and the fourth, Hades. And each rider has an activity: the first, to conquer, the second, to take peace from the earth and cause people to kill each other, the third, to weigh in the balance and protect “oil and wine”, and the fourth, to kill with sword, hunger, “death” and beasts. The first horse is announced by the first living creature. 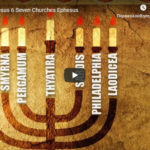 In 4: Four Living Creatures we saw that in Jewish tradition these creatures were said to have the same faces that were found on the standards (“flags”) of the four leader tribes as the tribes of Israel camped around the tabernacle in the desert. The first (a lion) was associated with the tribe of Judah, the second (a calf) with the tribe of Ephraim, the third (a man) was associated with the tribe of Reuben and the fourth (an eagle) with the tribe of Dan. With this in mind the first white horse could be said to be under the standard of the Lion of the tribe of Judah. The lion is bold and fearless, conquering his enemies, they well characterizes the tribe of Judah, the royal or kingly tribe with its line of kings starting with David and Solomon down to Christ, the King of kings. Apparently the first living creature presides over the judgment of those who are faithful and true to Christ, boldly conquering the kingdom of Satan in their own lives and in the world. The lion bids us to “come and see” these faithful and true Christians who are symbolized by a "white horse". “I looked, and behold a white horse.” Horses are used in scripture to symbolize groups of people (in this case the horses represent the actual people who are being judged). For example, in Isaiah 63:11-14 God’s people, being led by Moses through the wilderness, are compared with horses—“[God] led them by the right hand of Moses…who led them through the deep, as a horse in the wilderness.” In the book of Zechariah, which, like Revelation, uses various colored horses as a prominent symbol, the tribe of Judah is specifically declared to be the Lord’s horse: “The Lord of hosts will visit His flock, the house of Judah, and will make them as His royal horse in the battle” (Zecheriah 10:3). The first horse is white, which is the color of godliness and purity. Horses have riders who direct them; in other words, a horse is subservient to its rider. In the case of the white horses, the rider is obviously Christ Himself. The parallels with Revelation 19:11-16 which depicts the Second Coming of Christ are too marked to be coincidental. There too is a rider with crowns who is also conquering, riding on a white horse. 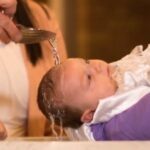 “He was clothed with a robe dipped in blood and His name is called The Word of God”-- in other words, the rider is Jesus Christ (Revelation 19:13). The rider holds in his hand a bow, one of the primary weapons of warfare. Again, this is associated in the book of Zechariah with the tribe of Judah: “the Lord of hosts will visit His flock, the house of Judah…From him comes the cornerstone, from him the tent peg, from him the battle bow” “For I have bent Judah, my bow” (Zechariah 10:3,4, 9:13). Here we see that as Jesus rides into the world “conquering and to conquer,” His faithful people are His principle weapons. Of themselves God’s people can do nothing, but with “Jesus in the saddle”, God’s “lions” have been advancing His kingdom from the days of the apostles right down to the present. Peter, Paul and John were white horses, as were Photios, John Huss, Martin Luther and other fearless reformers. But most of the white horses are simple and faithful Christians whose lives and words have been a consistent witness for their faith. They have allowed the Holy Spirit to “destroy the works of the Devil” in their own lives, and with their faithful words and godly behavior they have penetrated the enemy's kingdom and led people who have been in spiritual darkness into the light of the Lord. The apostle Paul described the life and witness of the White-Horse Christians: “For though we walk in the flesh, we do not war according to the flesh. For the weapons of our warfare are not carnal, but mighty in God for pulling down strongholds” (2 Corinthians. 10:3,4). In attempting to give a historical interpretation to the seals and trumpets some commentators have tried to follow the pattern of Daniel, in which each successive prophecy builds on the previous, filling in more details. But there are at least five problems with this approach: 1) In Daniel every detail of the prophecies can be clearly correlated with historical facts, but the historical interpretations of the seals and trumpets of Revelation either ignore and gloss over many of the prophetic details, or assign fantastic, “far-out” interpretations in which the symbols seem to be strained to fit with the historical facts. 2) The repeating prophecies of Daniel correlate well one with the other, but the historical interpretations of Revelation do not seem to be able to correlate the seven churches with the seven seals or with the seven trumpets. 3) The historical interpretation destroys the order and continuity of the various passages, requiring an aimless jumping from one theme and time period to another. 4) Daniel’s repetitive visions each began with Daniel giving his own personal context (eg. “In the third year of the reign of King Belshazzzar a vision appeared to me—to me, Daniel…I was in Shushan, the citadel…Daniel 8:1,2). 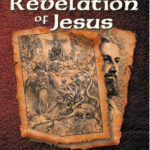 But this type of personal context is only given once in Revelation (Revelation 1:9,10). 5) The visions of Daniel were interspersed with stories of Daniel's experiences in Babylon, and these kinds of stories do not appear in Revelation. This does not mean that the first living creature represents the first horseman—the creatures are great angels who lead worship in heaven. 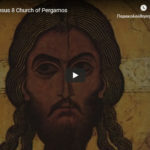 But apparently a part of their role in the Day of Atonement is to preside over the judgment of the various categories of people in the Book of Life. White is associated with purity and godliness (eg. “Though your sins are as scarlet, they shall be as white as snow” Isaiah 1:18) In Revelation God sits on a white throne, Christ rides a white horse and the saints wear white clothes made white in the blood of the Lamb (see Revelation 7:14, 19:11,14, 20:11). 2Samuel 22:35, Psalms 7:11-13, Jeremiah 50:14, 29.